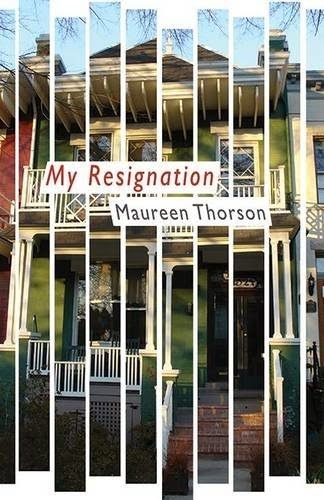 Maureen Thorson's second book, My Resignation, just came out from Shearsman Books. It's a collection of poems in four sections, three of which are named after the second quarter of the year ("April Allegrezza," "May Day," "Toward Eternal June") then there's a three year leap to a section titled "Three Years Later." One poem starts the book, "A Man for All Seasons," and it is outside of those sections. There's a reference to "The openness of speech" in a poem called "Shortwave," and that seems like a fitting handle with which to grasp the book overall; it looks and reads in an open way. Each poem is made of quick lines in short stanzas which move around the page in various indentations. These chunks are witty and fluid, like "You should be as free / as a buttery / pink bird / that lives only / in my imagination" and "They say pretty is / as pretty gives back to her community" and "When you kiss me, I stay kissed." Also, Maureen Thorson comes up with great titles that enrich and play off the poems. "Hymn for Those Who Lift Things Up Stairs," "'A Total Victory for Chaos,'" "Goodbye to Danger from on High," to name a few. The poem called "For the Evil Dead" never mentions Evil Dead. It's easy to read the 43 poems in My Resignation quickly, like a breeze, and that's what I did. It was rewarding. I love being in bed on a Sunday morning and rolling over and sleepily starting to read and then, before much time has passed, finding that I'm almost at the end. Then I like to go back and skip around through the book. Poetry like this is invigorating. Maureen Thorson kindly answered some questions I had about the new book. Your first book, Applies to Oranges, is a long series of formal, crafted poems. What's new with your new book, My Resignation? The organization and "look" of these poems comes from notebooks where I would quickly jot down lines -- both things I thought of and overheard dialogue. I was trying to preserve a freshness of emotion/diction, and to leave room for leaps of thought, rather than having the poems reflect a top-down organization. The line-breaks, for example, mostly reflect the way the lines were first written down by hand, and the poems are built up from fragments that have loose, I hope playful, connections, instead of progressing linearly from thesis to conclusion. How did you write them? Did you have a specific approach or outcome in mind? I started writing these poems when my now-husband moved from New York to live with me. I had lots of feelings, and they were jumping all over the place -- from excitement to worry to devotion to annoyance. I wanted to document my emotions, leaving them as "present" as possible. I wanted to watch them to unfold without my imposing a narrative frame over the top. What are you resigning from? I'm resigning from doubt, from always waiting for the other shoe to drop. Sometimes there's just the one shoe. Your writing is marked by weaving several elements through each piece and the book overall. What's your method for ordering poems in a book? I wrote most of the poems by typing up all my notes (trying to preserve the formatting/line breaks of the handwritten notes) into giant, four-columned pages, which I would print out. Then I started circling and drawing arrows from one thought to another. I'd even cut out pieces from the pages and arrange them around each other, magnetic-poetry style. I did a few rounds of edits concentrated on making sure things weren't too airy and attenuated, but I definitely wanted to keep the poems moving around, from one idea to another. Ugly Duckling put out Applies to Oranges, and this new one is from Shearsman Books—what was it like working with another publisher who has done so many books? 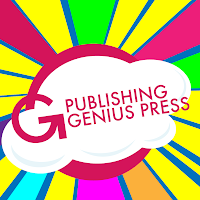 Can you tell the story of getting this book published? Both Ugly Duckling and Shearsman have been wonderful to work with. Tony Frazer at Shearsman brings a wealth of experience to the process, but still, he allowed me to take a first crack at designing the cover, and patiently sat through a few rounds of my mulling over the placement of commas. My thanks go out to Fani Papageorgiou, whose book When You Said No, Did You Mean Never? was published by Shearsman in 2013. She encouraged me to submit My Resignation (which had been wanly perambulating the contest circuit, to no avail) to Shearsman, and arranged to introduce me, via email, to Tony, late last summer. He accepted the manuscript in late October. Everything has come together very quickly and smoothly -- a testament to Shearsman's care and experience. How does being a lawyer interact with being a poet? Both law and poetry are concerned with manipulating language, with trying to communicate the difficult or complicated. But good legal briefs are actually boring -- you're not supposed to be surprised by the conclusions they come to. I don't want my poems to be like that! When I'm writing poetry, I have to work to dismantle my legal writing habits, and to allow space for the poem to breathe, meander, and get where it's going on its own time. I saw on your blog that the Tinysides chapbooks that you made back in "the day" -- which are so great and were a huge inspiration to me -- are now being made available as digital versions. What prompted this? I've been so happy, since announcing the digitization, to learn how many people still remember the Tinysides and enjoyed them. The digitization is something I've been meaning to take on for years, but somehow never found the time for. Over the holidays, I realized that, umm, it is not exactly difficult to scan hard copies of six-page-long pamphlets. It is, in fact, easy. And quick! I feel a bit sheepish, given how simple a project it really is, that it took me so long. But hey, we're here now, and I'm posting the ditigized Tinysides, one per week, in the order in which they were originally released. Do you sweat the difference between the artifact of the Tinysides and their digital "presence"? Not now. When I first started the Tinysides, I wanted to make beautiful objects that would be more accessible than artist's books -- a sort of compromise between mass production and something so rarified that only one person could ever have it, or turn its pages. I made fifty copies of each Tinyside, but they sold out incredibly quickly. There went my idea of greater accessibility! But scanning the hard copies preserves the quirks of the handmade -- slightly off-center pages, the string that binds the pamphlet, even the visual texture of the paper -- while making the books freely accessible to anyone with an internet connection. While I still love the Tinysides as objects, I think the digitization fulfills their original purpose better than their first, hard-copy run really did.